1. Go to c:\Program Files\PreSonus\Studio One 3 and right-click the Studio One.exe file. 2. 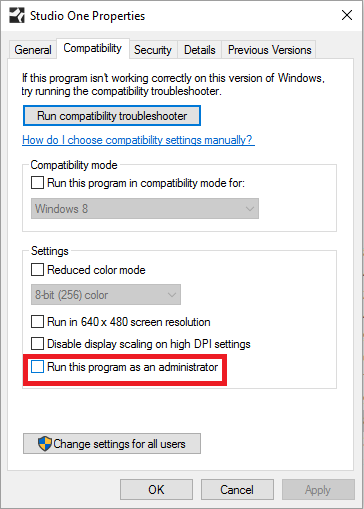 From the right-click drop-down option, go to Properties>Compatibility and un-check the option to "run this program as administrator." 3. Close and re-open Studio One. The problem should now be resolved.